Shouting abusive comments, stomping their feet, yelling at the referees, mocking the coach; we all know a negative youth sports parent when we see one. These images are never a good sight at a youth basketball game. The other parents sitting in close proximity feel embarrassed to be associated with them and their own child watches on in bewilderment at the actions of their parent. There’s really no place for a parent that acts this way in youth sports. Sports are competitive and it’s easy for parents to get caught up in the game just like the players and coaches do. Every parent wants their child to have success and it and it gives parents a rush of excitement to see it happen. Unfortunately, this adult fuelled competitiveness and the innate parental desire to see your child to succeed has led many parents forget what is really important in youth sports. On the other hand we have parents who come to games, sit happily on the sidelines encouraging their kid, and appreciate the enjoyment their child is having no matter what numbers say on the scoreboard. These are the parents we need more of. It really doesn’t matter if the coach doesn’t start the game with the five best players on the court. It really doesn’t matter if the referee called a block when it should have been a charge call. It really doesn’t matter if the coach drew up a poor play at the end of the first half and it resulted in a turnover. 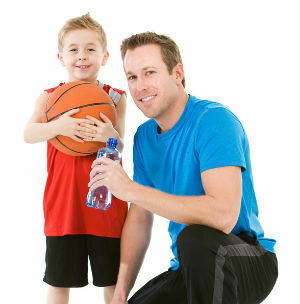 There are many aspects to youth sports that are far more important than your child’s team winning the basketball game. If your only concern is winning, stay away from youth sports. If winning’s not the most important, what is? Your child’s enjoyment. How much fun your child is having should be the primary concern of all parents. Does your child love attending practice? Does your child speak highly of the coach? Do they look forward to every game they play? It’s better for a child to play on weak team that emphasizes enjoyment, development, and allows the players to develop a passion for the game of basketball, than a great team that forces players to extra trainings they don’t want to attend, the coach treats them like NBA players, and the most important aspect of every game is that they dominate the opponent. Because what will happen on this ‘great’ team? They’ll win, probably a lot, but many of the players will quickly start to loathe the game of basketball. It’s all too common to see players being pressured to train more, play harder, score more points, play better defense, and everything else you can think of that a player can ‘do better’. It costs large amounts of money and time to play on a youth sports team and unfortunately it’s not uncommon for parents to remind their child of this with comments such as: “You know it cost us an arm and a leg to come on this trip. You better make sure it’s worth it”. When under this pressure, playing isn’t fun anymore, it’s serious. It becomes stressful for the player knowing that if they don’t live up to the parent’s and coach’s expectations then they’re not good enough. The result? Since sport isn’t fun anymore, they quit. If you find that you care more about your child’s sporting achievement than they do, it’s probably time to take a step back. A lot of parents have regret about missed sporting opportunities when they were younger and vow not to let their son or daughter miss out like they did. Let them create their own path instead of following the one you design for them in your head. Wondering what the chances of your high school player receiving a college scholarship or playing in the NBA are? It is highly, highly unlikely your child will make a career out of playing sports professionally. The exact figure? 2 – 3 out of every 10,000 players. With that in mind, treat youth sports like your child won’t be going pro. Allow them to love the game and learn without the added pressure of making it to the big leagues. Don’t force your child to play the sport that YOU love. Just because you were a basketball superstar in high school and have loved the game passionately since you could walk doesn’t mean your child wants to follow the same path. Fun is the biggest motivator for children playing youth sports. If you force them to play a sport they don’t enjoy it won’t be long before they burn out and quit. Allow them the opportunity to explore their own sporting interests even if you don’t share them. If possible for your family, allow your child to play more than one sport. There has recently been a large amount of research and articles posted on the benefits of playing more than one sport. Listed below are a few articles that talk about the subject. There’s nothing worse than a parent that forces their child to specialize in a single sport because they think that’s the only way they’ll make it to the highest level. 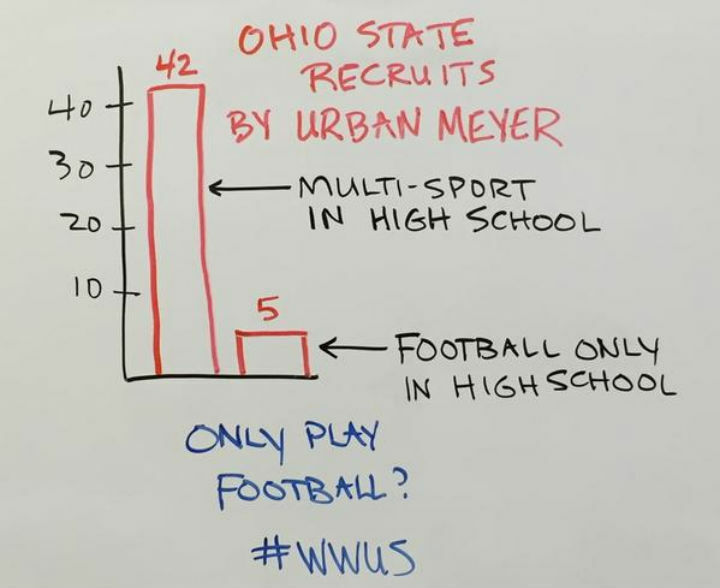 As just one example, the last argument in favour of multi-sport participation was an image shown below shared by @ohiovarsity. Showing out of all the Ohio State recruits by legend Urban Meyer, 42 of them were multi-sport athletes and only 5 of them specialized in football. Still think your child should specialize? Unfortunately not everyone has this option. If you’re on a high-school team you shouldn’t change schools just to get a new basketball coach (though it happens). Parents always look at me funny when I tell them to find the right coach. Some of them feel changing teams is a ‘cop out’ and that they just need to deal with the coach they’ve got. While I’m against players transferring from team to team in order to get on the team with the highest chance of winning, there’s nothing wrong with changing teams if your child’s current coach isn’t right for youth basketball. Let me make this clear: Whether the team is winning or not isn’t important. What is important is whether or not the coach is right for youth basketball. – Does your child enjoy playing for the coach? – Does the coach talk to them like they’re kids? – Does the coach care about the players? – Is the coach coaching for the right reasons? – Is the coach only focusing on the best players? – Is the coach treating the season like the NBA playoffs? If you feel the coach isn’t right for youth basketball, don’t hesitate to find a new team. If you’re not the coach, don’t coach. The biggest problem with parents coaching their own child from the sidelines is that the player will end up with the coach telling them to do one thing and the parents telling them to do something else. This places the child in the horrible position of being forced to choose who they’re going to make happy and who they’re going to disappoint. This is pressure no child should ever have to deal with in youth sports. If you really can’t help yourself from coaching, volunteer to coach the team at the start of the season. If you’re not willing to coach the team for the entire season, stick to encouraging them from the sidelines, not coaching. Too often parents will refuse to ask to meet with the coach and discuss a problem they have. Instead, they choose to share the problem with other parents and friends while also commenting on how horrible the coach is. This doesn’t achieve anything and just makes the problem worse. If you ever have an issue, set up a meeting with the coach to ask your question and discuss it. This question can range from “why isn’t my player receiving much court time?” to “why do the players to run so much at practice?”. If your question is approached the right way, all good coaches will be happy to answer and discuss your concerns. The only thing you must keep in mind is that you must be willing to receive an answer you might not want to hear. Never express to your child that you disagree with the decisions made by the coach. It will only lead to you child losing trust in the coach and questioning every decision the coach makes in the future. No coach should have to deal with that. This will make it much harder to get all players to buy-in and get everyone on the same page. Instead, if there’s a coaching decision you disagree with and you think it’s important enough that it warrants discussion, set up a meeting and talk to the coach about it. If you trust in the coach, you must allow them to coach your child. It’s impossible for a coach to do their job if every time a coach makes a player run or raises his voice at a player the parent is going to step in and save them. This is a great quote but only applies to coaches that are tough on their players in the right way and truly care about their players. A ‘tough love’ coach holds their players accountable and teaches them tough life lessons. This does not apply to coaches that verbally abuse their players. There is not place for that in youth sports. If you know the coach cares about the players, then allow your child to be coached with ‘tough love’. Youth sports largely depends on the contribution of willing parents. The more people willing to lend a hand, the easier it will be for everyone and happier the team will be. Volunteering to help the team may involve selling raffle tickets, receiving donations at the door, filling drink bottles for the players, carrying a bag of basketballs, anything. Your help will be appreciated. This is a great way to get to know other parents, players, and the coach, which will make the season much more enjoyable for you. The first thing you must realize is that if the coach was to ask any player where their parents are sitting to watch the game and they’ll be able to immediately turn around and point you out. They know where you are and they will look at you many times throughout the game. Your body language clearly shows how you’re feeling and if yours is poor, you can bet that it’s going to impact how much they enjoy the game. Don’t throw your hands in the air when your child misses an open layup. Don’t put your head in your hands when one of their passes results in a turnover. If you do, what do you think will happen to their confidence? It’s going to plummet. As frustrating as youth sports can be at times, we all have to understand it’s a game played by children and we must stay positive throughout the game. If you ever catch your child looking over at you at any point during the game, you should be smiling and showing them that you enjoy being there. Youth sports is fantastic medium to teach long-lasting life lessons to the next generation of children. At the start of the article we talked about knowing what’s important. Winning isn’t, the life lessons learnt from youth sports are. We need to make a conscious effort to praise what’s important. Remind your child about the commitments that they’ve made to the team. When they joined at the start of the season they knew that it involves attending practices and games. Now that they’ve made that commitment, they don’t get to skip practice just because they don’t feel like going. Let you child know that if they don’t want to play the next season, that’s fine. But they’ve made a commitment for this season and they need to follow it through until the end. 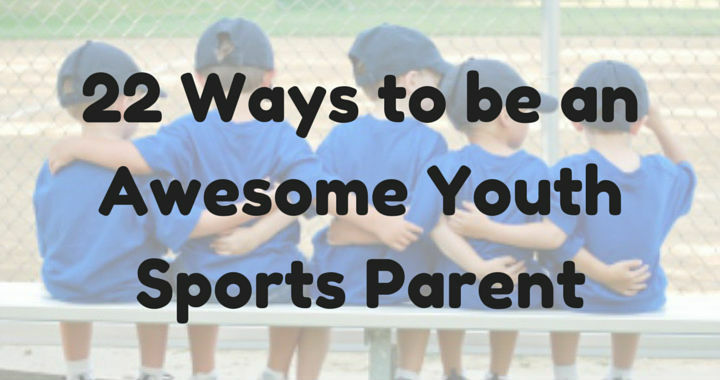 Praise your child when they show acts of sportsmanship. – Helping someone off the ground after taking a charge. – Encouraging teammates from the sidelines. – Shaking hands after the game. On the same path, this also means talking to them sternly when they act unsportsmanlike for such things as receiving a technical foul. It is a privilege to play basketball and players must know that. It’s not easy to be good at something. It takes a lot of hard work. Your child will learn this through hours of practice with the team and by themselves practicing shooting or dribbling drills. As a parent, it’s great to let your son or daughter know that you’re proud of them for putting in the hard work to improve their game. While the player made a commitment to team practices and should be held accountable, most don’t commit to practicing extra outside of that time and therefore should never be forced to. If they are, it will rapidly lead to resentment of the the sport and negative feelings towards the person forcing them to train. And that’s the last thing we want to happen. Remember that the main goal is participation in youth sports. If they want to go outside and work on their shot alone to get better, they will. There’s nothing wrong with hinting “why don’t you go outside and practice a few shots?” when they’re bored and asking for things to do, but never force them to do it. I’ve heard of parents that force their child to go out and make a certain amount of shots every day after school. What do you think this is going to lead to? An NBA contract? No. It will lead to them quitting the sport they love. Comparing your child to other players on the team is setting yourself and your child up for disaster. The first huge complication with doing so is that children develop at different rates. Every association has that one player that seemed to be a man among boys at a young age because they developed so quickly. They were a foot taller than everyone else and dominated at will. But then what happens? Everyone eventually starts to catch up and the player that relied on being bigger, stronger, and faster than everyone else doesn’t have that advantage anymore. Another reason is that the players will always have different levels of interest in the sport. While your child may only be playing for fun and to make friends, the neighbours child may have ambition to get selected by the high-school team. It can be difficult to stop yourself comparing your child to another, but we all have to stop. 2. Coach – they coach the game. 3. Referee – they referee the game. 4. Spectator – they watch the game. Parents usually fall into the fourth category: a spectator. Not a player (adults playing against kids would be weird), not a referee (we already have people to do that), and not a coach (the team already has a coach). Just watch, support, and encourage. If you’re a spectator of the game and regularly find yourself standing out from the crowd of other parents, you probably need to reevaluate how you watch a youth basketball game. Countless times I’ve witnessed parents jumping up and down in the stands, constantly shouting out to their child, abusing referees and other players; this is all simply embarrassing their child. They don’t need the added pressure you’re putting on them from the sidelines. Does this even need to be said? To most parents it doesn’t, but unfortunately it does need to be said to some. The first thing to remember is that most of the referees in youth sports aren’t very experienced. Often they’re just young kids who help out for a bit of extra money. We must remember that this is youth basketball and not the NBA. We don’t expect our players to make 100% of their shots so how can we expect referees to make the right call 100% of the time? Don’t let the outcome of the game determine the way you treat your child on the car ride home. Your child must know that whether they win or lose doesn’t change the way you love them or the way you feel about them. While you may know that you still love them unconditionally regardless of the outcome, it can be easy for a child to get confused if you’re elated and caring after a win but unhappy and reserved after a loss. 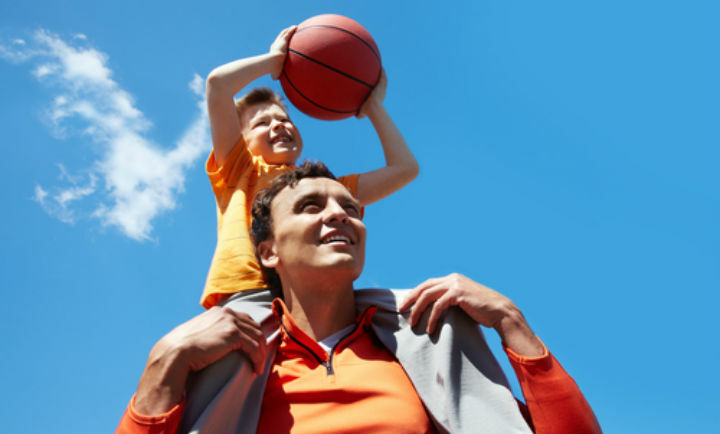 Show your child that your love for them is not based on winning or losing a game of youth basketball. When your child is feeling sad or frustrated about a loss or poor personal performance don’t find excuses to make them feel better. After most close losses in youth sports you’ll usually find parents making excuses like ‘the court was too slippery’, or ‘the referees were favouring the other team’. All this does is teach the players not to be accountable for the outcome of the game or their performance, and instead find an external force to blame the loss on. “Athletics is one of the best ways for young people to take risks and deal with failure because the consequences aren’t fatal; they aren’t permanent”. Allow your child to experience failure and learn to deal with it through youth sports. Sometimes after a tough loss or a bad game individually your child needs time to themselves and would prefer not to discuss the game. Never force them to talk about it. The best thing you can do in this situation is allow them to have their space or talk about something other than the game they just played. Remember that they would prefer you to be mum or dad than a basketball expert. The questions you ask after the game will show the child what you believe is most important. If you ask “How many points did you score?” it emphasizes to the child that the amount of points they score individually is the most important part of the game. Instead ask “Did you have fun?” or “Did you enjoy the game?”. And don’t forget that you should be asking them the same questions regardless of a win or a loss. Make sure you’re showing support for all players and not just your own child. In no way are you obligated to cheer for other players, it’s just a nice thing to do and shows that you’re supporting the whole team. This will always have a great impact on the other parents and coach and in turn you will be much better liked by everyone associated with the team. Nope, I’m not joking. This actually happens. And you’ll probably be surprised how often it happens, too. I’ve seen parents pay their child per point they score. If they win they get to go to the beach for the day. The list is endless with rewards for performance. The problem with this is that the child becomes extrinsically motivated. Meaning that they’re motivated by money or rewards instead of being motivated by improving their game, helping the team, and having fun. I repeat: It is not ‘motivation’ to pay your child to score points in their youth basketball game. Youth sports is about the kids. Not the adults. Parents treating a local under 12’s basketball game like it’s game 7 of the NBA finals has to stop. To put it simply, youth sports is an environment to learn, stay healthy, make friends, and have fun. Our number one goal should be to keep children playing youth sports. Parents need to remember that their actions play a big role in whether a child enjoys and learns from their youth sporting experience or not.